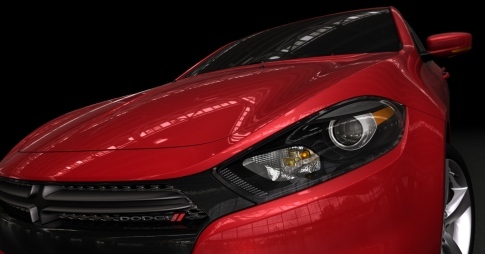 Chrysler is to resurrect the Dodge Dart, launching an updated version of the sporty compact model at next month's North American International Auto Show in Detroit. The US automaker confirmed December 6 that the Dart, a 1960s classic, will be reborn as a 2013 four-door sedan based on the Alfa Romeo Giulietta, a model sold in Europe by Chrysler's parent firm Fiat. Further details were sparse, although Chrysler did confirm that the vehicle would be offered with a choice of three engines, a 1.4-liter turbocharged MultiAir engine or a 2.0-liter/2.4-liter Tigershark 16-valve variant. Styling will be 'unmistakably' Dodge, with front crosshair grille, full-width LED tailamps, a dual exhaust, projector headlamps and fog lamps and a longer and wider body form than the Giulietta, to suit the American market. The model is set to hit showrooms in the first half of 2012, following its debut at the Detroit show, which runs January 9-22.